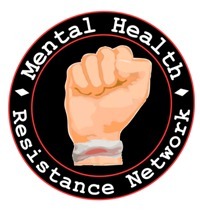 On 20th November 2018, Mental Health Resistance Network (MHRN) will be protesting against mental health services that are designed to further a political agenda at the expense of patients. MHRN will respond to this agenda by spelling out the real needs and wishes of people who live with mental distress in a statement of demands that has been written by them. However plans to have this discussion without hearing the voices of those who are affected will be disrupted on 20th November 2018 when members of Mental Health Resistance Network (MHRN), along with other disability campaigners and mental health professionals, gather to protest the ‘Keynote Seminar on Mental Health’ at Over-Seas House in Park Place, St James’s Street, SW1A 1LR at 8.00am with attendees due to arrive at 8.30am. MHRN will be presenting “We Demand …” a document that will spell out the demands of mental health survivors while stating precisely why the agenda being followed by NHS England, drug companies, the DWP, the nudge unit and the neoliberal profiteers are deeply harmful to people who live with mental distress. This document will be presented to Claire Murdoch, National Director of Mental Health, NHS England on the day of the Seminar and will be given to all attendees. ‘We Demand…’ will call for a change in the culture of mental health care provision and an immediate end to the ‘conscious cruelty’ which is the Work Capability Assessment. Their list of demands will also include an investigation into psychiatric abuse and neglect. They will demand a stop to the planned cuts to mental health services to the tune of 1 billion pounds by 2020 called for by Lord Carter of Coles*, and referred to in the information sent out to attendees by the organisers of the Seminar. The Seminar will discuss the planning of the next 5 years of mental health services in England, major charities like National MIND will be there as will an as yet unnamed ‘senior parliamentarian’. They have informed Claire Murdoch that they expect a full reply to their demands within two months and to be invited to speak at all future events.